CSI researchers find that patients admit foot discomfort, but don’t know how to care for their feet. One diabetic patient confirmed he had never tested his feet. “With the Care Kit, I found a spot. 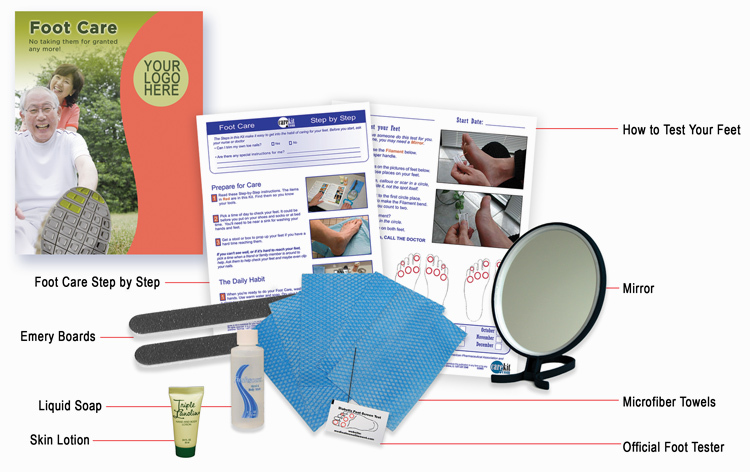 You saved me!” The Director of the Lower Extremity Amputation Prevention program was also “VERY IMPRESSED” with this kit—everything in one place, with step-by-step instructions and clever reminders.